We’re always on the lookout for interesting data science work, especially as it relates to Switzerland. Shoot us an e-mail with an outline of your idea, your analysis or a written-out blog post. Our only guideline: Choose a topic that’s related to data science and/or support your arguments by data. 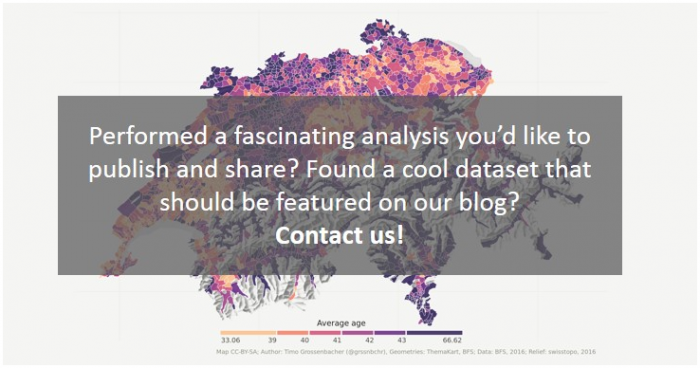 Contact us at info@datacareer.ch – we’re looking forward to your contribution!